Monday(day 1), Tuesday(day 2), Wednesday(rest), Thursday (Day1) Friday (day2), Sat (Rest), Sun (day1) and continue on like that. If you feel sore at all take a rest day. NUTRITION: Eat a high fibre, high protein diet with meals 4-6 times per day. A planned nutritional meal plan is one of the most important aspects of any body composition change. Please see the nutrition section to learn about protein, carbohydrates and fats. The bottom line is to make sure to get 6 small meals during the day all having protein, veggies and fruit. Carbohydrates and protein during and after a workout for muscle recovery. This is needed for increasing muscle mass which will help with your basal metabolic rate (BMR). 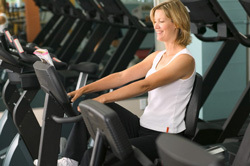 Notes: after, bike for 5 minutes then start over with bench press until three sets are completed. Notes: Jump to seated row immediately. Notes: After completion go back to incline press for 3 sets. No rest. 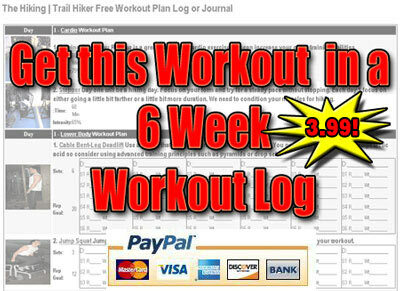 With this log you will be able to print off as many sheets as required to track this workout. Why do most trainers get their clients to write down their workouts? It is because it works. Recording your workouts allows you to track your progress, determine what is working and track your weight and measurements to see what is giving you results. This is the best $12.00 + shipping you'll ever spend on your body. These Programs have been approved by Myfit because they are of the highest quality.